Project Details: Job Corp provides education and hands on job training to individuals 16-24 years old. Students can work towards getting their GED or learn specialized skills in areas such as automotive repair, culinary arts, nursing and more. 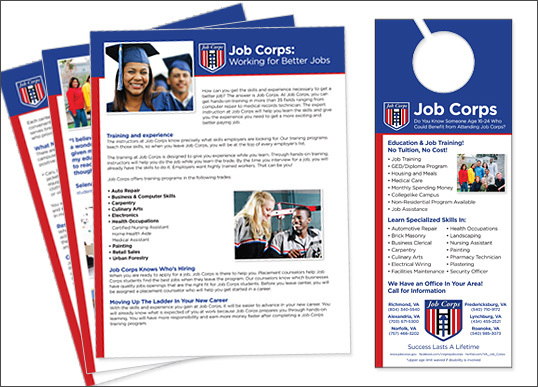 We worked with the Richmond branch of this national organization to develop a series of 8.5×11 flyers and door hangers that clearly explain the goal of the organization and the services that they provide. 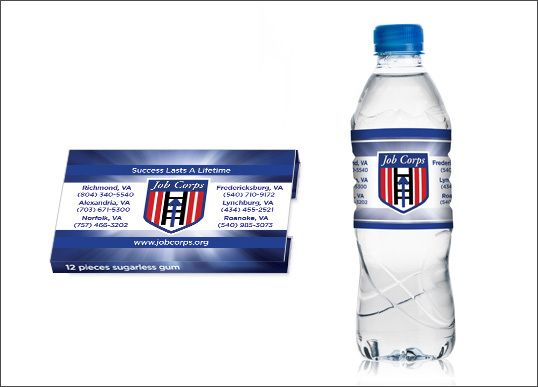 We also created a custom water bottle label for them as well as a custom package design for bubble gum that is handed out at promotional events and job fairs.